We were proud to be a sponsor at the edie Sustainability Awards on the 6th February at the Park Plaza London Westminster. The UK’s largest and most prestigious sustainability awards recognised excellence across the spectrum of green business; from the best efficiency programmes through to product innovations, from stakeholder engagement and social sustainability initiatives to the people on the ground who are making change happen. We were both excited and inspired by the great examples of success shown by the companies shortlisted this year. I presented the award for Carbon Reduction, won by Norwich City Council, joining environmentalist and television presenter Michaela Strachan, comedian Sara Pascoe and edie's own Guest of Honour Paul Polman on stage. We were also been shortlisted for the Energy Efficiency Category for our live energy monitoring tool, Power Now. Read more about the categories and shortlist here. The awards follow the iconic Davos conference in Switzerland where eliminating waste and pollution, as well as preserving finite resources through circular business models was a key topic for discussion. This reminds us why it’s so important to recognise businesses and leaders who are excelling and turning ambition into action and why we were therefore so keen to support the awards. We were particularly excited to sponsor the carbon reduction category in particular as we understand how critical it is for businesses to reduce carbon in their operations as we strive to meet our carbon targets. This aligns with our own ambition to help our customers drive down resource costs, build operational resilience and achieve business-critical sustainability targets. We’re supporting companies to start thinking about themselves not as passive consumers of energy but as active users, traders and generators of it, to support them in their sustainability journey whilst maintaining a competitive edge. We’re helping businesses can get smarter, leaner and cleaner on change at a time and applying the same solutions to our own business: through efficiency monitoring and measures, through flexibility services like DSR, managed through our PowerShift platform and through low carbon energy supply from renewable sources. So let’s learn from their approaches and look at how we can collectively turn our ambition into action. And let’s celebrate their successes and look at what other steps we can all take to drive further progress in 2019! 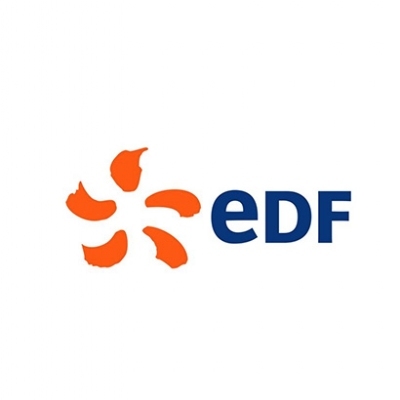 You can download EDF Energy's white paper on how businesses can make positive and immediate changes to their energy management as we trend towards a circular economy. You can also sign up to the Talk Power mailing list for industry news and events.